A career mentor once told me, “Take action, goals are nothing without action. Don’t be afraid to get started. Don’t procrastinate. Just do it!” This Nike-esque mantra lights a fire under your seat and encourages you to get up and seize the day. You never know what an opportunity will lead to, maybe a new dream job, a great new friendship, or even your big break. So why not take it? Jeremy Lin, a Knicks player, recently turned a small opportunity into a “Linsane” trend that has swept the country as he transformed from benchwarmer into mega sports icon. Lin had hardly played but suddenly found himself on the court after his “more talented” teammates were injured. And he blew everyone away! 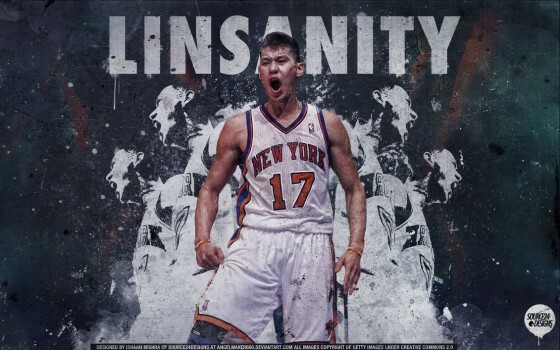 He took a small chance to score a few points for his team and next thing you know he is on every major news source and “Linsanity” is sweeping the nation. Talk about taking advantage of an opportunity! Keep your eyes peeled, who knows when you will get your chance to show everyone what you’ve got. It only takes a moment of action when the chips are down to show the world what you have to offer. So just do it!